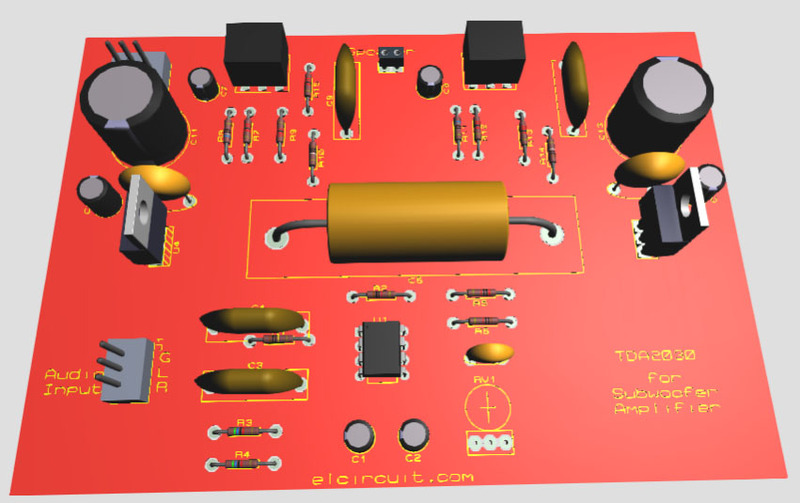 TDA2030 is a widely used 14W audio power amplifier monolithic integrated circuit in Pentawatt [ package, intended for use as a low-frequency class AB amplifier. 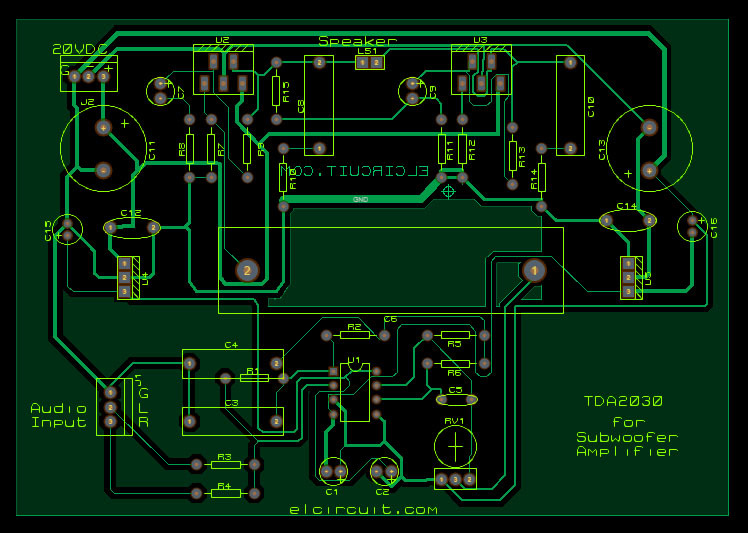 However, some home theater prototype came with TDA2030 design has a problem of low volume. 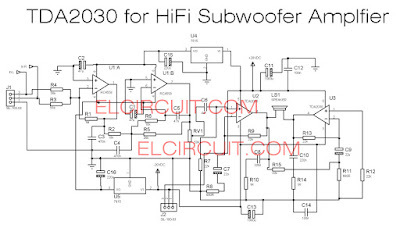 There are ways to increase the subwoofer performance that uses TDA2030A design. 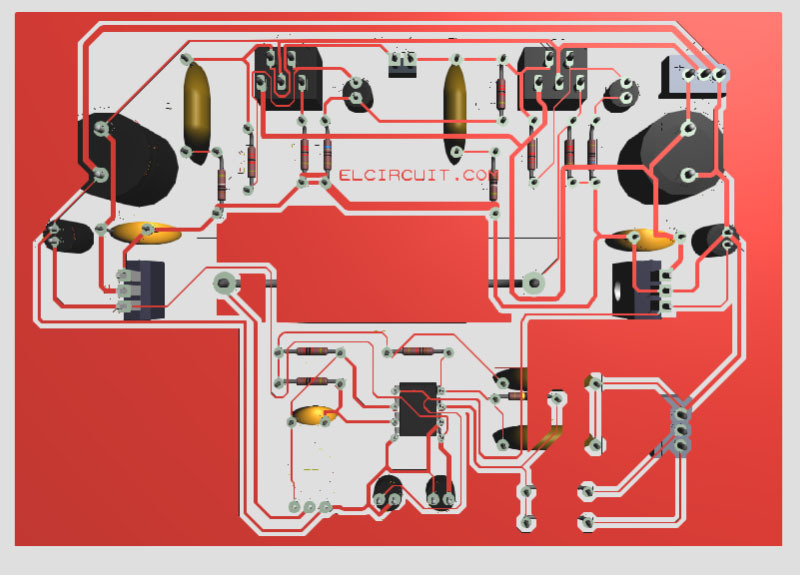 Some circuit board designs usually soldered a 10K or less value resistor in place of default 22K recommended by the 2030 designers. Use 22K or more instead of 10K to increase the gain thereby reducing the bypass of input to ground. 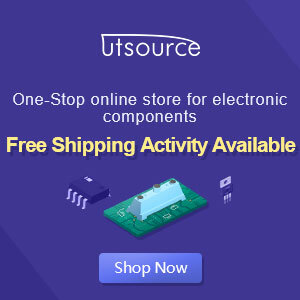 (input should be noise free) However, the increasing gain over the recommended value may result in overheating the IC unless you have best heat control methods. 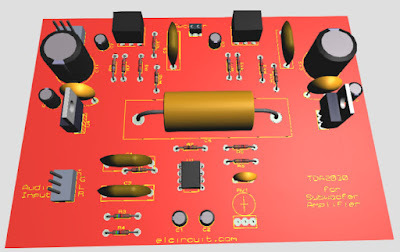 And adding subwoofer filter 4558 can filtering subwoofer audio signal input. yes its true the TDA need heatsink cause it very hot for working subwoofer speaker system, need more power. If you have any question, please tell me that you want. 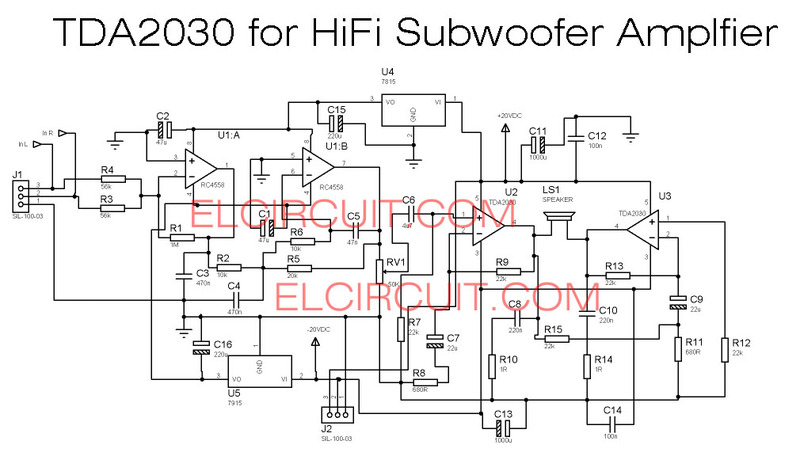 Can you suggest me a circuit for 10W sub woofer(mono)?? 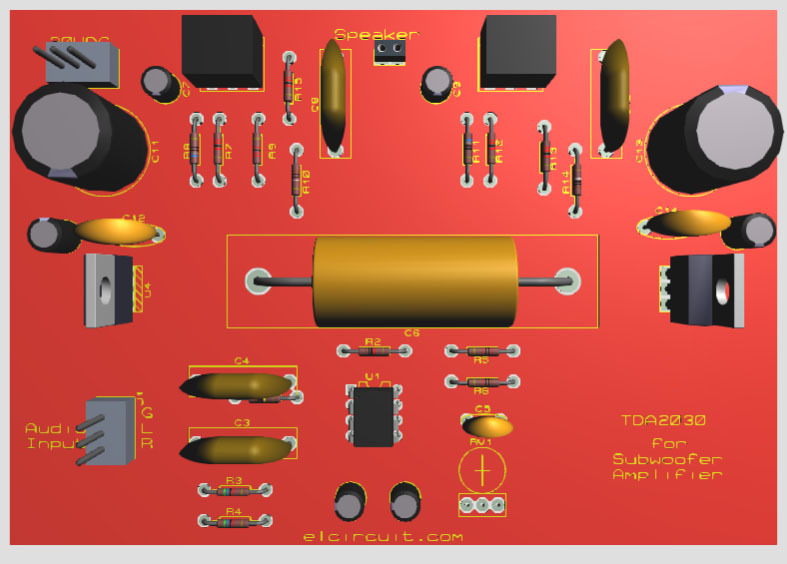 do i need to make any changes in the circuit, coz in the circuit it uses 40w speaker but I have a 10w speaker. TDA2030L & D1875 CAN BE USED? why u will using d1875?